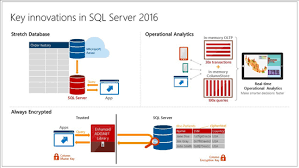 SQL Sentry is introducing the new unified Plan Explorer! This edition includes all features of Plan Explorer PRO, plus two new and incredibly powerful features: Index Analysis and Performance Profiling. These new features were originally going to be part of Plan Explorer ULTIMATE at higher price point. However, they ultimately decided to make all features of Plan Explorer freely available to everyone. That is right FREE! Be the first to comment on "FREE Plan Explorer"